In this installment of our summer series about enjoying in-season organic produce, learn simple tips for highlighting strawberries in fresh, well-spiced meals. Like the flowers that produce them, fruits are sweet-scented — and perhaps no fruit is more so than strawberries, whose Latin name Fragaria, means fragrant. Just thinking about fresh, summer strawberries conjures a sense of their aromatic essence and unique, luscious flavor. Don’t miss the brief season when locally grown strawberries appear fresh at your market; they won’t taste as good any other time of the year. How to prepare it: Conventional commercially grown strawberries are a heavily sprayed crop, so opt for organic strawberries whenever possible. Strawberries don’t ripen after they’re picked so select completely red, firm, shiny, just-picked berries at your local market, or seek out a pick-your-own farm. Rinse the strawberries gently to avoid bruising them, dry on a kitchen towel, remove stems and sepals, and enjoy. Spices and herbs to complement: Vanilla accents the perfume and sweetness of strawberries, while lemon enhances their subtly tart freshness. For unexpected complementary flavors, consider mint, sweet basil and lemon balm with your strawberries. 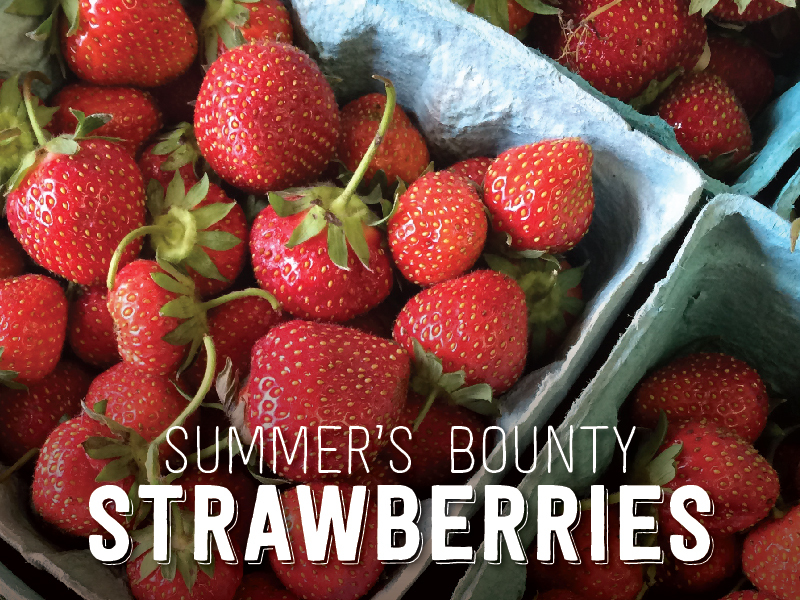 Pairs well with: Strawberries are delicious with rhubarb in desserts and jams. Also try slicing strawberries over spinach, walnut and goat cheese salad dressed with poppy seed vinaigrette. Whole strawberries dipped in white chocolate and rolled in cacao nibs is a decadent treat. Or macerate strawberries in sugar and a splash of balsamic vinegar and spoon over vanilla ice cream. Select firm, completely red berries with little or no white or green areas. Leave their stems attached (they’ll keep better). Be cautious of extremely large strawberries — they sometimes have woody, hollow cores. Don’t reject small strawberries, which are often sweeter and juicier and make the best jam. Save strawberries past their season by freezing — either whole or macerated with sugar — for a wintertime treat. These are great tips! I love strawberries, especially picking them on your own. I’ve never thought about pairing vanilla with strawberries. I’ll try it 🙂 I love cinnamon on my strawberries, too.